In my opinion, the 1930s were dominated by French cinema. That’s one of the reason I chose that as my independent study (technically resistance films, but used the 1930s to establish the film language and influences of those later films). It is no surprise that I have seven movies in my top 20 that are either directly involved with France or have French connections. 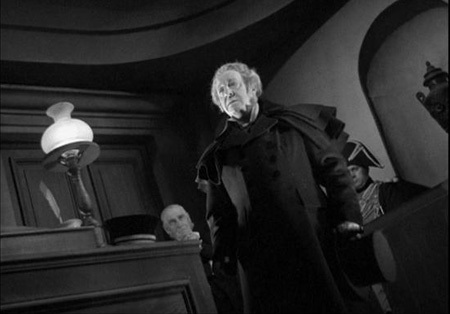 My number one is the under-seen adaptation of Les Misérables is the most faithful and highest quality that I’ve seen. In fact, the others, especially the recent musical, pale in comparison. I saw the Eclipse version, but I hear that a restoration has been touring and I hope to re-watch that version someday. My final cut was, The Black Cat . I have a lot of problems with the film, but the final haunting 20 minutes make up for my reservations. These are dark scenes even by some modern standards, so I felt it almost deserved inclusion. Posted on May 26, 2014, in Film, Lists. Bookmark the permalink. 2 Comments. Just watched L’Atalante last month – loved it. It is a treasure. I’m going to re-visit it for my Poetic Realism article.